Obama 1.1 - Michelle Obama, the "Better half"
The latest odds, taken after Sanders joined the 2020 race on Tuesday, put Trump as a 3-2 lock to win re-election followed most closely by Sen. Kamala Harris, at 10-1. And the odds of Sanders winning didn’t budge despite announcing his race, said Dave Mason, the sportsbook brand manager of BetOnline.ag. “There were no changes to Sanders' odds following the announcement. We had it as a foregone conclusion that he will be in the Democratic mix," he said. "Sanders has lost some of his Mojo"
"DEMS PRETEND they are the exact opposite of what they really are." What a dumb hypocrite she is, while she keeps talking about others who are "morally wrong"
those are pretty sweet odds given it looks like almost certainly a Bernie v Trump race with Bernie a fair chance of getting a majority. Guess that will really depend on how happy querecanos are with their tax bill and future prospects. And Whether voters feel the need for a revolution. Hows that best economy ever and soaring stock market (that communist obama built) going? "Castro was a great man... he had a couple of fouables... even I have some - I like to store my two suits in a Pringles can"
theres seriously no need, interviews with actual querecano heros provide more than enough comedy. I'm sure they'll be plenty more along soon enough. How long before Kamala Harris' campaign implodes? She seems to lack actual substance, and is making one mis-step after another. you do know they all write their own questions don't you? Have you never been interviewed? 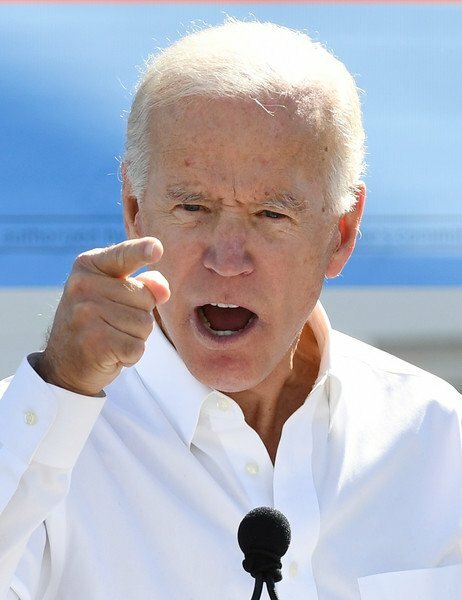 Isn't it weird how the MSM is saying Biden is leading the polls despite him not even running yet? It seems like an obvious anti-Bernie movement that everyone is buying into. Just like in the revolutionary time Americans were tired of being taxed for things and not seeing the benefits, Bernies plan encapsulates this movement and desire to separate private interest groups from our government while offering in return things that would actually benefit society , ie. Tax funded healthcare , better schools ect. instead of funding endless wars. 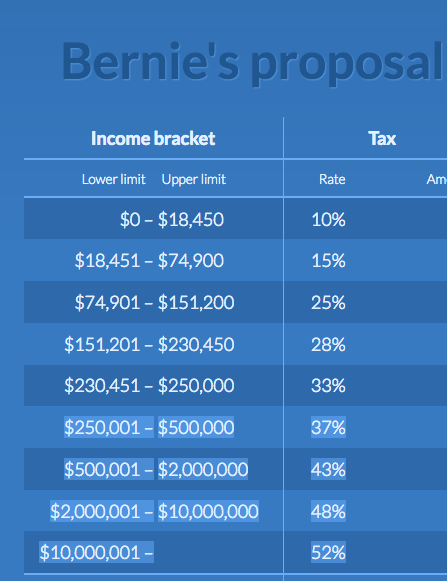 Bernies plan does involve higher tax rates of course the MSM isn’t lying about that, but would it effect the common payer? 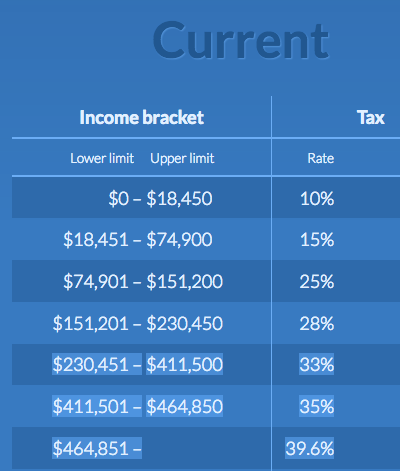 anyone below $250,000 yearly income will not see any effect in the taxes they pay but will infact see a higher % in expendable income as they will not have to pay for healthcare out of pocket any more ( input your own household numbers there for a glance into the future under bernie.) – unless they chose to have a more expensive private insurance plan. Get ready for the most politically correct — and politically incorrect — election of our lifetime. On the other, you have the most diverse Democratic field ever, showing early and enthusiastic insistence on inclusivity, as well as race, gender and lifestyle sensitivity. This weekend was a sneak peek: Beto groveling and Trump bellowing. Beto O'Rourke apologized for joking during his first two days on the trail that his wife is raising their three children "sometimes with my help." As RedState put it: "Beto Apologizes for Being White & Male After the Woke Trash Him Over a Joke About His Wife." At the same time, Trump was tweeting love for two embattled Fox News hosts — Tucker Carlson, who made misogynistic comments on a radio show a decade ago, and "Judge" Jeanine Pirro, who made an anti-Muslim comment on her Fox show. "Keep fighting for Tucker, and fight hard for @JudgeJeanine. Your competitors are jealous," Trump tweeted. Trump continued: "Stop working soooo hard on being politically correct, which will only bring you down. ... The losers all want what you have, don’t give it to them. Be strong & prosper, be weak & die!" 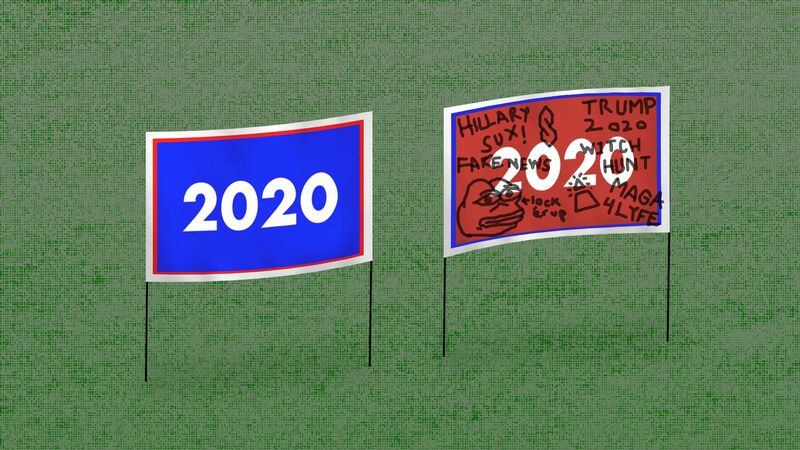 MAG: Why are 2020 Dems so weird? Rendell: 2020 Went From "Slam Dunk" To "Trouble" For Dems; "AOC Does Not Speak For The Democratic Party"
"I think all of a sudden, the 2020 election went from a slam dunk for Democrats to something where we're going to have trouble beating this guy because he's going to make Democratic socialism swing to the left, which I don't think is real, but he's going to make it into the issue," the former governor told CNN on Thursday. Self-destructive snowflakes will sink us next November. And so it begins. With democratic socialism O.G. Bernie Sanders and baby-faced Beto O’Rourke officially running, the race is on for the presidential nomination of my party, the Democrats. It’s also over. Not the nomination, but rather the general election. Because the reaction to Sanders’ candidacy especially showcases why Democrats will lose next November. By now, we all know Democrats have an uncanny knack for losing winnable elections. And since 2016, when Hillary Clinton blew a double-digit polling lead in less than a month, Democrats have descended even further into dysfunction. The problem isn’t policy. It’s pettiness. Many conservatives believe Democrats are lurching toward far-left policies like single-payer healthcare, livable wages and free public college education. As a socialist who firmly believes Bernie Sanders would have defeated Donald Trump in 2016, I hope they’re right. Progressive populists are the future of the party; centrist elitists like Hillary Clinton are the past. But many conservatives also suspect that Democrats have become a bunch of hyper-sensitive, easily offended wimps. Again they’re right – and it’s going to cost my party another eminently winnable presidential election next year. The initial reviews to a Sanders sequel vividly displayed the horde of suicidal cannibals Democrats have become. 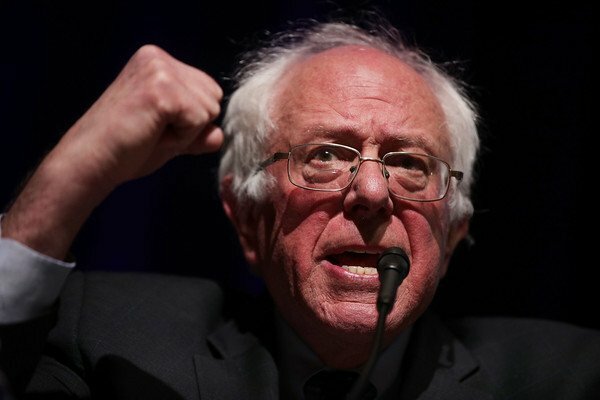 In less than three years, Bernie has gone from darling to demon in a party so hell-bent on perfection that progress – and progressivism – is rendered impossible. One exercise in smug nitpickiness came from The Progressive. In a piece sarcastically titled “Thanks Bernie,” Editor Ruth Coniff espoused what has become an all-too-familiar theme with today’s Democrats: outrage when a white heterosexual male like Sanders doesn’t mention the plight of women and minorities every single time he opens his mouth.